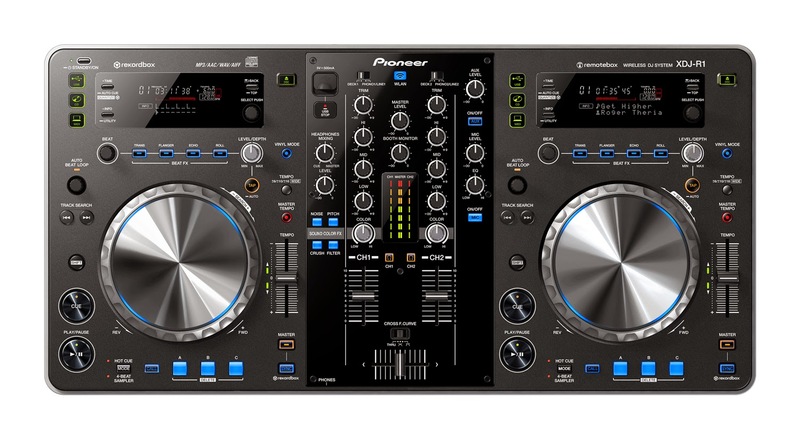 By connecting this device via a wireless LAN connection to an iPad/iPhone/iPod touch with the special "remotebox"*2 mobile application installed, it is possible to select songs stored inside USB storage devices connected to the XDJ-R1 via the screens of these devices. In addition, it is possible to apply an "AUTO BEAT LOOP"*3 function, which automatically loops music at a specified tempo, as well as intuitively controlling various effects using the X-Y pads of devices. The back of the XDJ-R1 also features a stand for installation of iPhone/iPod touch devices at an angle conducive to easy song selection. DJ play can be performed using a diverse range of media and music formats, including music CDs and file formats such as MP3, AAC, WAV and AIFF stored inside USB storage devices or recorded onto CD-R/RW. 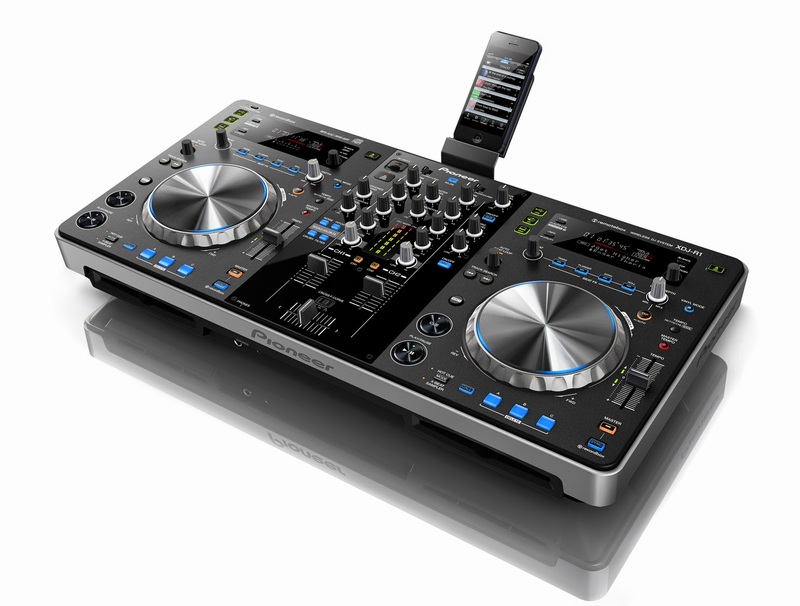 The XDJ-R1 also provides MIDI support and can be used to operate various pieces of DJ software. The "BEAT SYNC" function automatically synchronizes the beats of songs that have been analyzed by the "rekordbox™" music management software played on each player, simply by pressing the "SYNC" button. Noise has been reduced by separating analog and digital circuits, and performing digital conversion of analog input signals by the shortest distance possible. All signal processing is conducted with a high-performance CPU to ensure that DJ mixes have a clear sound. ● "QUANTIZE"*5 function automatically corrections divergence from specified BPM when using "AUTO BEAT LOOP" or "BEAT FX"
● Environmentally-friendly "Auto Standby Function" that switches the power to standby mode when there is no operation or input for a certain period of time.